The thing about films you already love in advance is that, even though you try hard not to be biased, your credibility as a movie critic crumbles from the first line. That’s it. I really tried to stay critical and objective. I was prepared to be cold and write a plain observation of Spectre, but then Sam Mendes started the movie with a fantastic long take that lasted from the very beginning to the moment when Bond aims his gun at the building next door. That was it for me. I knew I was going to enjoy Spectre no matter what. Credits roll, intro sequence starts, I get excited about it… you know how it goes. And at the same time, such high expectations (and especially after the superb film that preceded this one) mean that there is always going to be one or two disappointments -ahem, the underuse of Bellucci and Waltz, ahem. 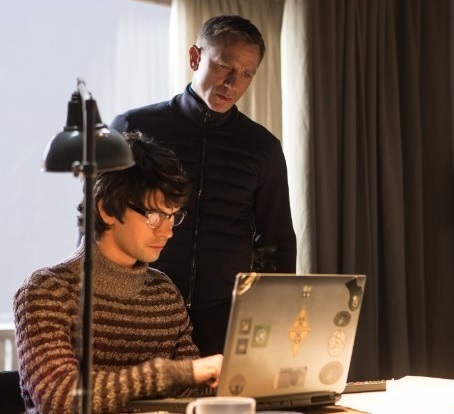 One of the good things about Spectre is the fact that it ties up with Daniel Craig’s previous films. Everything is connected, and everything that has happened to him since Casino Royale has been leading up to the moment when he meets Oberhauser, an enigmatic figure from his past. I don’t even need to say that the action sequences are splendid, do I? From the helicopter debacle to the train fight. So I will point two things out: the script and the casting. The script gave us brilliant pieces of dialogue, from dramatic parts to witty one-liners. And of course, it helped that it was delivered by the casting lead by Daniel Craig. My personal favourite from the new characters would be, of course, Christoph Waltz, who is capable of inducing fear without speaking and without even showing his face. Only someone like the Austrian actor could pull that off. And the trio of Ralph Fiennes, Naomi Harris and Ben Whishaw provided the story parallel to Bond’s that allowed them to shine, especially Fiennes –who doesn’t love him, right? And as for the Bond girls, my only pity is that Monica Bellucci is in the film for less than five minutes –and yet, she stole the show in the little time she had. Léa Seydoux did a more than capable job as the main girl, but I personally wished they had cast someone slightly older for that role. 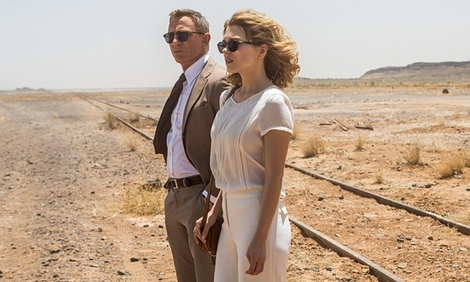 This was a dark film (story-wise and photographically speaking), but it was like a Christmas present for Bond fans, for those who will get the references, who will really understand what is going on at every moment and get the inside jokes. I didn’t expect anything else. There was one thing I did not buy, though: when Madeleine tells Bond that she loves him. Really? After two days? Plenty of unbelievable action scenes and this was the moment of the movie that made me roll my eyes so hard that they almost came out of their sockets.